American Farms Pig Ears are always baked - NEVER fried. 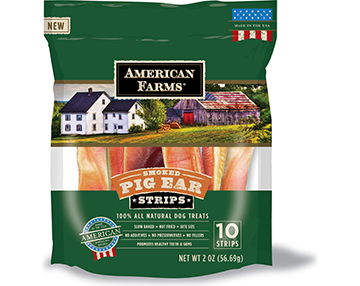 Made from only American farm raised pork, we hand select each piece for the best quality and size. They?re all natural and don?t contain any artificial ingredients, added preservatives or coloring. 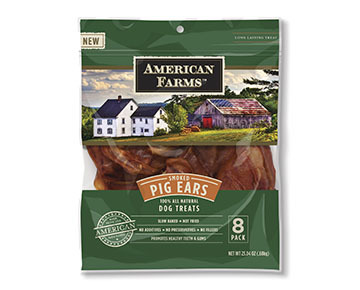 Our pig ears are either oven roasted or naturally hardwood smoked for hours to bring out the most natural flavors your dog craves. 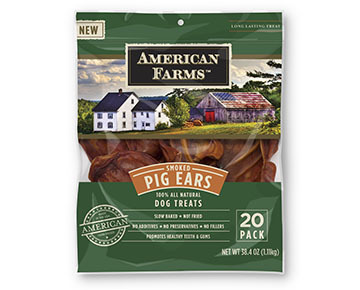 They have a smooth texture, are easy to digest and are a natural source of protein and chondroitin ? 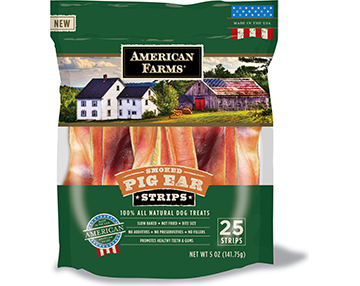 great for joints and overall health. 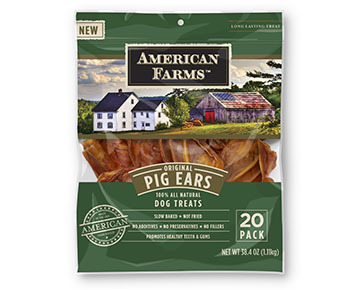 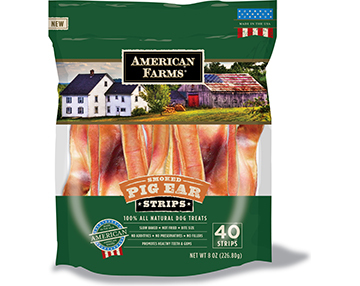 Great for dogs of all sizes, pig ears make a delicious daily treat for small (1 ear), medium (2 ears) and large dogs (3 ears). 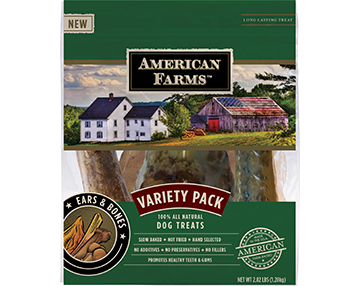 It's what dogs crave!